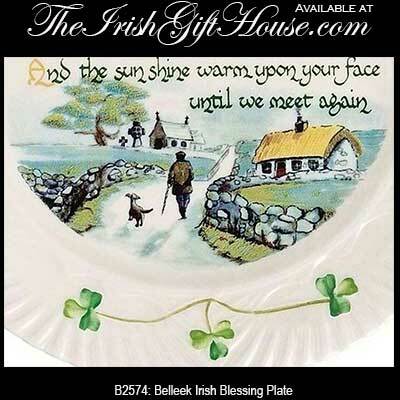 The Belleek Irish blessing plate is enhanced with hand painted green shamrocks along with a pastoral country scene. 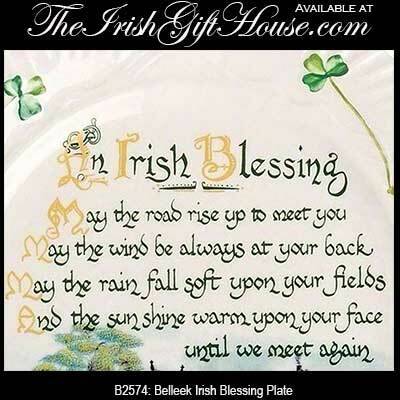 The 9" diameter Irish blessing plate is made of fine china in the harp pattern and is hand crafted in Belleek, Ireland. This Belleek blessing plate is gift boxed with a shamrock history card, complements of The Irish Gift House.